← Honoring Nurses: Compassionate. Caring. Valiant. (This article was originally published by Elsevier Inc. in Nurse Leader). At a recent gathering of nurse leaders, one of the participants, Callie, approached me with obvious concern. She began by saying that her team is “checked out.” She went on to describe her direct reports as a group of 8 nurse leaders who are “waiting for retirement.” Callie told me she was recently promoted and she inherited this team. She is 10 to 15 years younger than these colleagues, and she believes they are only interested in doing what is minimally required to keep their jobs. She also says they do not contribute in meetings, and they are not willing to advance her vision-driven agenda for their department. 1. It can be tempting to “story tell” about these team members. Storytelling is what I call a leadership seduction in my recent book,2 and even though Callie is a leader who excels, she has fallen prey to her own story about her team. Her story that they are waiting for retirement is strong enough to become a belief that stops her from imagining any other explanation for their behavior. 2. Even if she is correct, Callie’s conviction has led her to conclude that nothing can be done except wait right along with them. Her belief is so strong that it blinds her to any other choice. 3. Team leaders like Callie can be so swept up in their stories that they forget the costs of inaction. Doing nothing about unproductive team members and whole teams with bad attitudes and poor performance can have real consequences. Just a few of these can be compromised patient care and a significant drop in productivity. 4. Managers who do not address subordinates’ negative behaviors and attitudes may lose the respect of other subordinates, particularly those who are interested in doing their best. It can be a major disincentive to “go the extra mile” when managers do not levy consequences on those who do not meet performance standards or stated expectations. 5. Another consequence is that “actively disengaged” employees may be “actively engaged” in campaigns to enroll others in their pessimism. Employees who are particularly susceptible to signing up for negativity are those who fall into the “not engaged” category—or 54% of all US workers. 6. Finally, the manager herself may be tempted to check out, too. Why? Because it’s easier to look the other way, focus on other priorities, and choose “benign neglect.” But when we, too, are tempted to resist and disengage, is the result really benign? What if there are consequences that affect patient care, directly or indirectly? What if there are other exceptional nurses who will notice that that the leader is not addressing the problem? What if Callie is regarded as a role model and mentor? What if there are goals that need active support from the members of the team who have not completely “left the building”? Will high-potential nurses feel it is fair to ask some team members to contribute while other team members have a free “pass”? 1. She can monitor her own attitudes and stories. Is it really true that every one of these 8 individuals is not interested in offering anything more to the patients, the team, and the organization? It’s possible that Callie has inadvertently closed herself off from other ways of seeing what’s occurring. If she, too, has “checked out” of productively engaging with the team, her team members probably know it. If they do, they have even less reason to fully participate in the work of the department. 2. It’s likely that Callie can’t know whether any team members are capable of greater contribution without getting more information. One option she has is to undertake team development. On the front end, she or a trusted advisor can conduct a survey or set of interviews with the team. 3. Callie can be transparent with the team about why she is doing this, letting them know that she wants them to be professionally fulfilled, optimally productive, and that she wants to elicit their candid feedback about how things are going for them now. If she does this, she will need to assure the team that their responses will be anonymous. 4. She could solicit their ideas for creating the environment in which greater productivity can occur, and she can ask for the teams’ thoughts about what is in the way of greater productivity now. Again, she will need to build trust and assure safety. 5. When she has the results, she and/or her advisor will want to debrief the findings with the team. This, too, is a process that should be undertaken with care. The team leader will want to state and respond to complaints realistically, be open and willing to change what can be changed, and be explicit about what cannot be changed. These steps represent the beginning of team re-engagement strategies, and they are just examples. Although they may not be appropriate for all teams, they do illustrate how leaders can address their own roles in team dysfunction and create the potential for greater engagement by everyone. 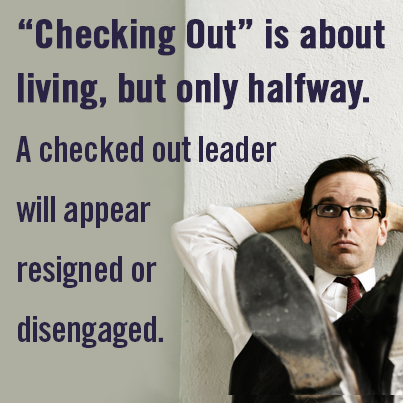 When leaders shift their own attitudes and behaviors, it is more likely that at least some of the disengaged team members will change, too. Gallup. State of the Global Workplace: Employee Engagement Insights for Business Leaders Worldwide. 2013. http://www.gallup.com/strategicconsulting/164735/state-globalworkplace.aspx. Accessed February 2014. Robinson-Walker C. Leading Valiantly in Healthcare: Four Steps to Sustainable Success. Indianapolis, IN: Sigma Theta Tau International, Honor Society of Nursing; 2013. This entry was posted in Blog and tagged Attitude, Disengaged, Employee Engagement, Healthcare, Leader, Leadership, Management, Manager, Nurse, Nursing. Bookmark the permalink.